-Nathan Chansomphou took the GOLD medal in the Internetworking competition. 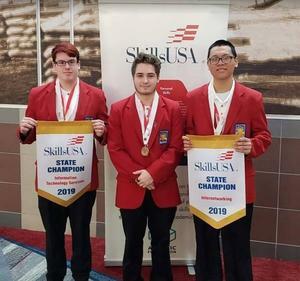 -Dakota Meyer took the BRONZE medal in Telecommunications Cabling competition. -Ty Conant took the GOLD medal in Information Technology Services competition.